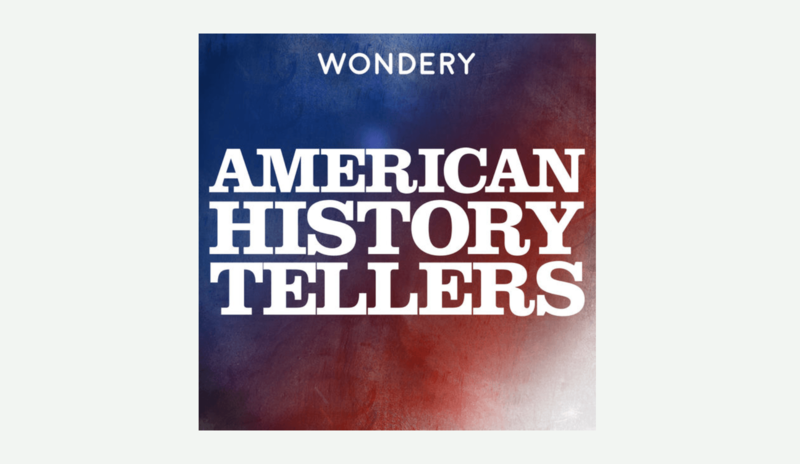 On January 3, the podcast network Wondery launched a series called American History Tellers. Overnight – literally – the show hit Number 1 on the Apple Podcast charts. A week later, it was still holding strong at Number 2 and thousands of listeners had tuned in. Was the hype deserved? In short, yes. American History Tellers really is that good. The show digs deep into the big-name periods of United States history with the Cold War and Prohibition up first. Reexamining these well-trodden pasts, AHT illuminates new details by casting regular Americans as the protagonists. In the Cold War series, we meet a geneticist named H. Bentley Glass who is probably best remembered today as the man who said that if a nuclear Armageddon occurred, cockroaches would be the sole survivors. American History Tellers brings to light a lesser-known fact about Glass: he was investigated by the FBI for donating $5 to an inter-racial youth group in 1944 – an inquiry that came at the behest of FBI director J. Edgar Hoover. Hoover and his agents believed that Glass’s left-leaning tendencies could mean he was a communist. Glass, however, is an outlier in AHT. More often, the characters remain nameless and we are asked to fill in their identities with our own. “Imagine that it’s late January 1951 and you work for Kodak,” says the calming voice of host Lindsay Graham, who opens each podcast with “no, not that Lindsey Graham.” We’re asked to pretend that we are many different characters throughout the episodes, and – though it seems like this technique would become tired – the effect is powerful each time. There’s a mom in the suburbs of St. Louis who learns that her son has been exposed to radioactive fallout from nearby nuclear testing. There’s a saloon goer who watches as his favorite bartender is arrested for serving alcohol in teapots. The banality of these characters’ lives is refreshing. History is often told from the perspective of a few influential characters, speaking to our nation’s love of heroic individualism. But this podcast decides to look at mundane individualism. Its characters have no desire to be historical, making them far more relatable than Franklin D. Roosevelt, Neil Armstrong or even Al Capone. They remind us that everyone is implicated in the events of our time, no matter how removed one might feel. The “imagine you are” technique also succeeds because it is a method so perfectly fitted for podcasting. The words on paper alone would be flat. But add the intimacy of someone speaking into your ear as if he chose those words for you, and suddenly it works. The producers of American History Tellers were smart in curating their show. They hired PhD-certified scholars to write the scripts and host Lindsay Graham to bring them to life with his silken drawl. Graham has been sound editing and hosting podcasts since 2005, when he and a friend produced an amateur show about the local music scene in their hometown of Dallas, Texas. From there, Graham started recording songs and audiobooks. Most recently, he premiered a fictionalized political thriller in 2017 called Terms, which had eerie though unintended overlaps with the 2016 election. Still, Graham is not a full-time podcaster. By day, he is a marketing director for Southern Methodist University. The Prohibition season is noticeably more upbeat, sprinkled with discussions of flappers who donned knee-length dresses and Louise-Brooks bobs. Still, the season explains Prohibition in the context of the deeper historical forces in America at the time. Right from the first episode, the season’s author, scholar Christine Sismondo, informs us that anti-immigration sentiment in the early 20th century helped Prohibition gain followers. The Age of Immigration – a period lasting from the early 1880s to 1910 – brought a 50 percent surge in the nation’s population, from 60 million to 90 million. “Each wave of immigration brought with it a renewed feeling of anxiety about what was happening to American culture and society,” Graham says. Though the height of drinking in the United States took place in the 1830s, the influx of so many foreigners caused some Americans to blame the problems they saw in their society on the newcomers. Anti-alcohol advocates fed off these prejudices and so, the Prohibition movement allowed anti-immigrant sentiments to be acceptable. This permission opened a floodgate; by episode five we hear about the revival of the Ku Klux Klan whose membership grew in the 1920s, with Klan chapters in every state. The connections between Prohibition and the present might come as a surprise, but the Cold War’s echoes are obvious. Which is why the podcast’s production team decided to start with it. They began work on the series in the summer of last year when nuclear tensions with North Korea and all-around tensions with Russia were palpable. As Graham put it, “We haven’t had to face that kind of existential dread in years.” The order of future seasons will be more flexible. Some of the topics queued up are the Gold Rush, the Space Race, the American frontier, the Spanish-American War, and the history of our national parks. Last month, AHT debuted its third season entitled “The Age of Jackson,” a look at America’s violent and messy territorial expansion. As America’s present grows increasingly bizarre, thinkers around the country have been reconsidering our past to see how we got here. In podcasting, the trend is obvious with the success of shows like Slow Burn, Constitutional, and Malcolm Gladwell’s Revisionist History. Like these podcasts, American History Tellers provides a critical framework through which we can look at the past. It doesn’t romanticize American history and it doesn’t pull its punches. Certainly some listeners will be angered by this, but the willingness to be critical is a trait that is too often dismissed nowadays. To be critical has come to mean being negative, unfair or pessimistic. Criticism however, at its root, suggests caring about something enough to want to fix its faults rather than praising it blindly. American History Tellers does this as well as a podcast for the general public possibly could. Previous PostWhat Has Become of My Puerto Rico Now That the Storm Has Passed?